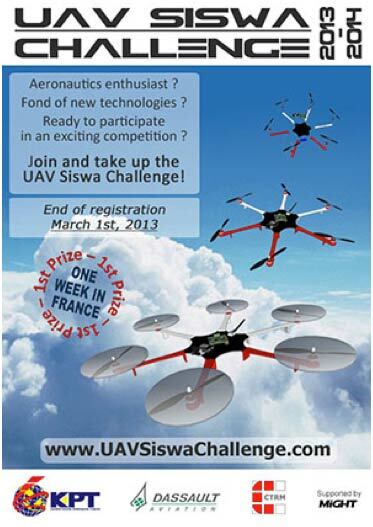 Dassault Aviation and CTRM, in partnership with the Ministry of Higher Education and under the Might patronage, are organizing the UAV Siswa Challenge, an aerospace student challenge dedicated to Unmanned Aerial Vehicles (UAV). Specifically designed for Malaysian students, it intends to give them, through a motivating and entertaining project, the opportunity to explore advanced aerospace topics linked to concrete industrial subjects of interest. Divided in several yearly competitions, the challenge focuses on development of smart autonomous behaviors applied to Unmanned Aerial Vehicles (UAV) and integration of embedded systems on UAV. 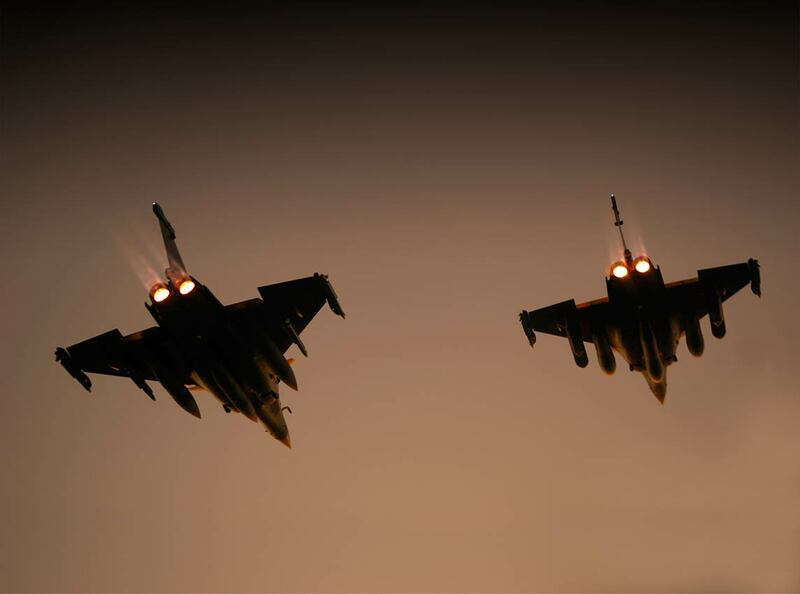 The 2013-2014 competition, first step of the challenge, has been centered on the development of real-time software, allowing flying platforms to move towards identified fixed targets in full autonomy, without human in the loop. As a first prize, the winners of this first competition has been invited in Paris, France, during a whole week. If you want to learn more about the UAV Siswa Challenge, watch the full video of the first edition in the video section of the website, or visit the dedicated web-site www.UAVSiswaChallenge.com.